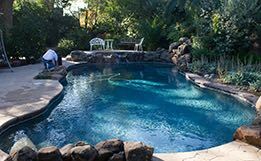 Is your pool service everything you want or need? Is your pool deep blue with beautiful sparkling water? 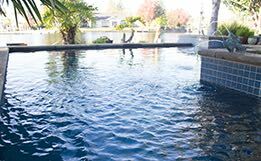 Keep your pool crystal clear and inviting to swimmers all year round. With Blue Pools’ reliable weekly pool service, your swimming pool will always be blue, clean, fresh, and chemically correct. Blue Pools’ services includes chemically balancing the water, whether fresh or salt, doing a circulation cleaning, cleaning out the filter and skimmer baskets, floor & wall sweeps, bottom cleaner clean-out, netting debris and regular equipment maintenance. 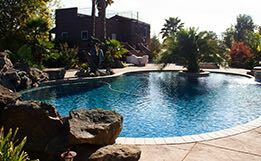 For an affordable price and the very best care of your pool in the greater area of Sacramento CA, look no further than Blue Pools. Blue Pools’ guarantee is a Crystal Clear Blue Pool all year round!